Dads will do anything to make sure their daughters are taken care of and prepared for the future from setting aside money for their education to putting on a full fairy princess getup just to make them happy. Chase's "Mastery 2.0" campaign from Droga5 captures four different stories including a recently single mom planning her own future as well as her son's, and an older couple (with a killer pet) looking to prepare for retirement. Each of the stories shows people mastering their financial futures with a little help from Chase. "Our customers come to us for advice at pivotal life moments—retirement, saving for college, dealing with a change in life circumstances. We wanted to tell our customers' stories around these moments," Donna Vieira, CMO for Chase consumer banking, said in a statement. 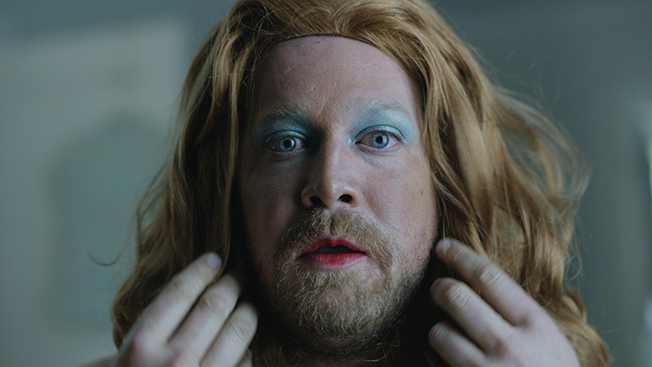 The first spot, "Fairy Dad," shows a dedicated father sitting in his bedroom in front of a mirror with a tube of bright red lipstick in hand. He cakes on the lipstick and a heavy dose of blue eye shadow, squeezes into tights and dons a frilly blue dress for his daughter's fairy-themed birthday bash. When he steps through the door, his daughter's face lights up. A second, equally heartwarming spot, "Back in the Game," tells the story of a single mom getting ready for a first date. Her son sits on the couch playing video games as she gets ready to leave. "This first round of work for Chase's consumer banking was a really fun creative challenge for Droga5 in that it allowed us to dig into the less than obvious moments in people's lives when they might need advice from their bank," Don Shelford, group creative director at Droga5, said in a statement. "It gave us the opportunity to really stretch the emotional territories of the Chase brand from bold humor, to small intimate moments." Another spot uses a touch of humor and an adorable little pig, and another one takes on a more serious tone in telling the story of a boy and girl who grew up together but grow apart as they get older. All four spots make you feel something slightly different, but they're all guaranteed to make you feel something.